Teknomek has introduced a new range of anti-microbial cleaning tools designed to minimise risk in labs and cleanroom environments by reducing the potential for cross-contamination. 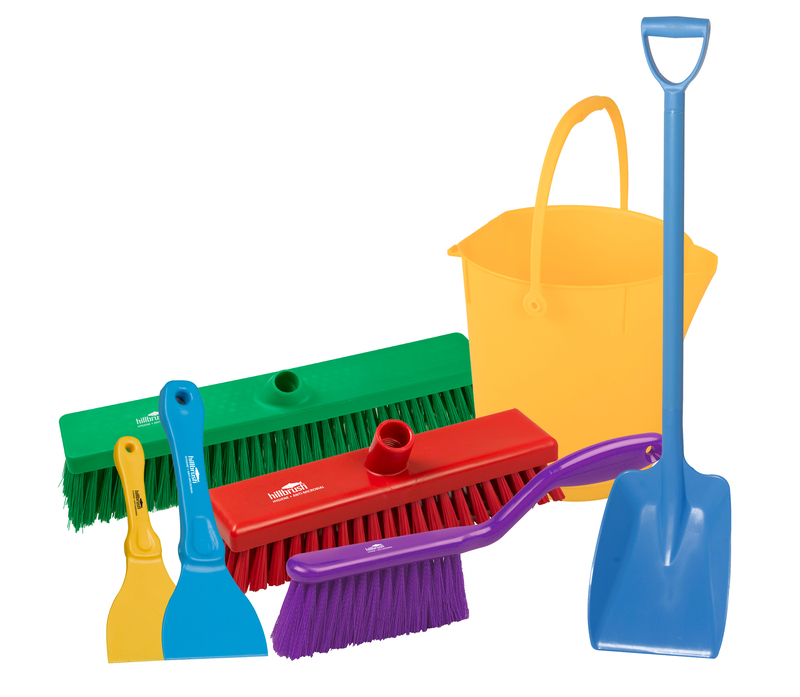 The new products include brooms, deck scrubs, squeegees, scrapers, spades and buckets. All are available in a choice of five colours to support area segregation. All components in the accessories are infused with Biomaster, including the brush filaments. This anti-microbial silver-ion additive is effective for the lifetime of the product and inhibits the growth of bacteria by up to 99.99%. Sue Springett, commercial manager at Teknomek, says: "This is no margin for error in high risk environments. Despite strict hygiene policies and controls, contamination is always a significant concern. The new anti-microbial range offers a simple way to help contain even the most resilient bacteria, such as MRSA, in their tracks ­and without having to modify cleaning procedures. The colour coding also reduces the margins for human error." The high-quality brushes are resin set so the filaments won't shed. All products in the range are both dishwasher safe and autoclavable at temperatures of up to 134°C. Springett concludes: "Businesses in the pharma sector go out of their way to ensure staff adhere to hygiene best practice and make significant investments in hygienic furniture. As such, it would make little sense to then overlook other potential risk areas. Our anti-microbial range fills in the remaining gaps in the defence, providing an additional layer of reassurance."